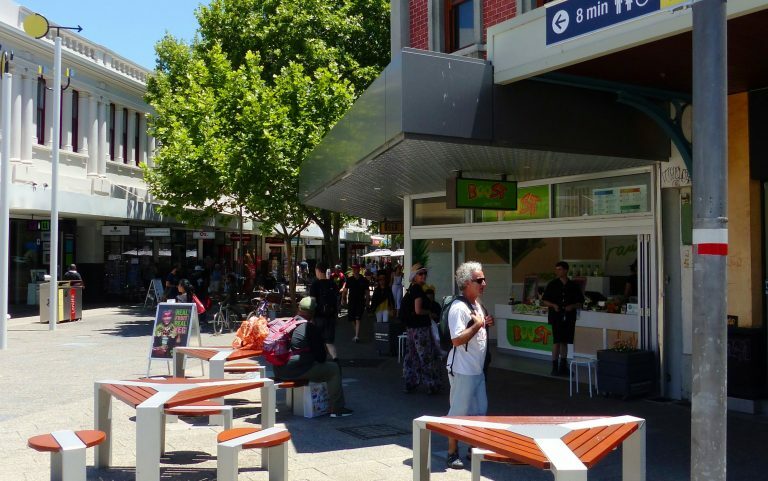 The City of Fremantle’s Place Activation Strategy for the jointly funded ‘High Street Mall’ project proposed to reactivate the space, increase pedestrian traffic and encourage new tenants to the area. 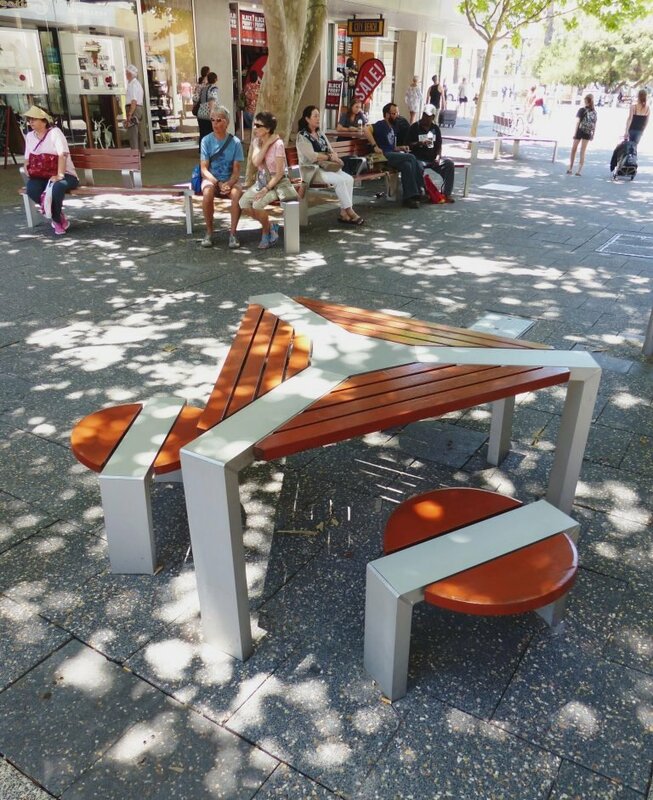 This was to be achieved by improving way-finding strategies and enhancing the urban streetscape with new, thoughtfully considered site furniture. 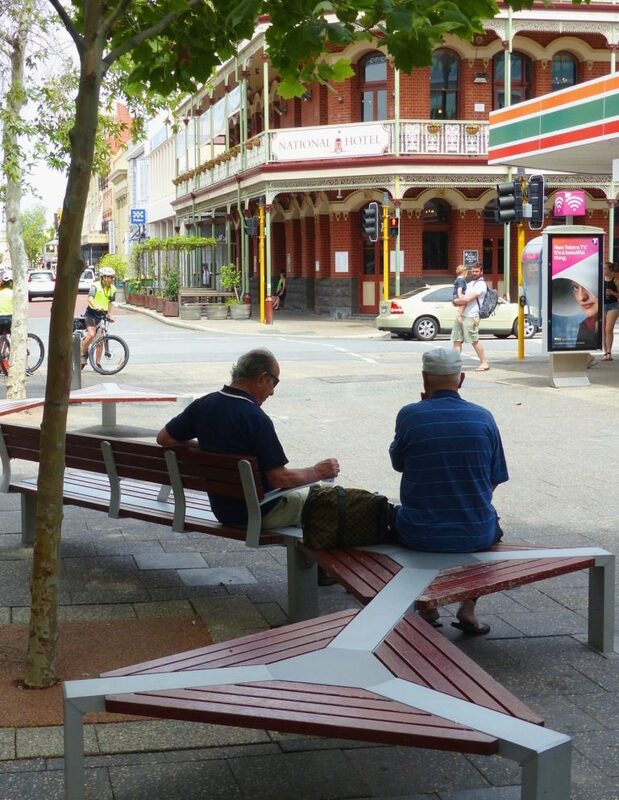 The modification of our ‘Urban Edge’ street furniture range was adopted as a time efficient and cost effective way to introduce site responsive seating and table elements. In close liaison with the council project team, we studied the project brief, explored the site, and then produced several concept options for the Council and retail property owners to consider and review. The final design comprised seven differently configured modules: combinations of standard triangular platforms and tables with modified lineal seats, visually and physically connected by the central aluminium portal frame characteristic of ‘Urban Edge’ street furniture. These modules now punctuate the mall at strategic locations, folding around existing trees and infrastructure, providing a large number of shaded seating and eating opportunities. The unique seating geometry enables individuals or groups of people to occupy the same seating node within close proximity to others, whilst maintaining their personal space. CAD drawings of the various configurations designed for ‘High Street Mall’ are available on request, or we can custom design arrangements for your project. Triangular platforms and tables combined with modified lineal seats. 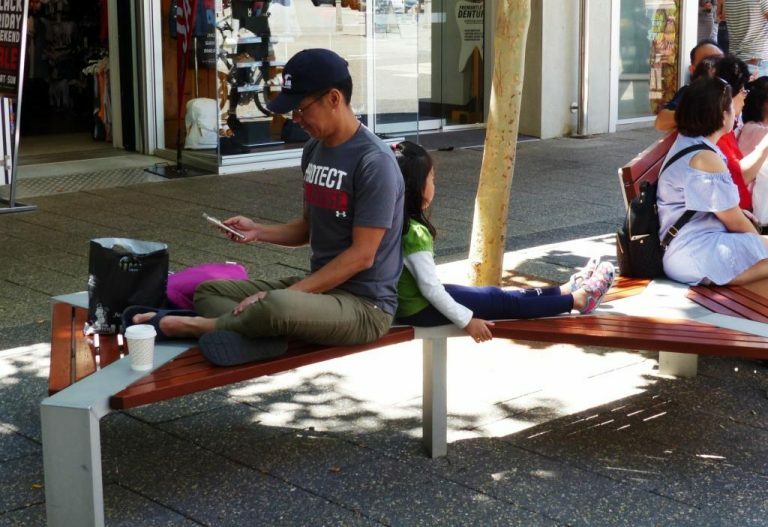 Creative ways to enjoy the streetscape. Space reactivation by encouraging use. 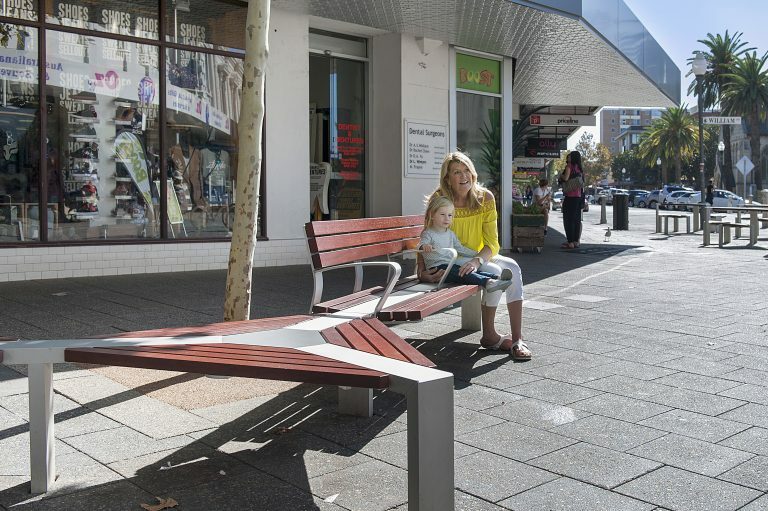 Geometry that helps people share a seating node whilst maintaining their sense of personal space.